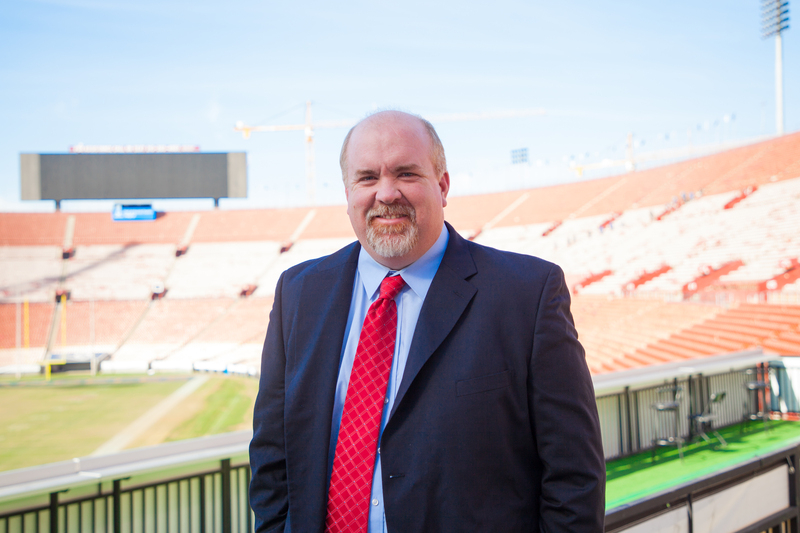 Kevin joined the Los Angeles Memorial Coliseum in 2014 after spending 17 seasons with the San Diego Chargers where he directed game operations and brand development. As Director of Events and Customer Service, Kevin oversees a team responsible for the overall planning, production and management of events at the historic venue. Kevin graduated from the University of California at Santa Barbara with a B.A. degree in Political Science and an emphasis in Public Service. Kevin and his wife Jen (USC ’01) have been avid Trojan fans and Cardinal & Gold members since 2002.